I decided to hold back (for now) on a rant that has been brewing for the past two days and instead have decided to take a more constructive approach on my blog. A great debate that has emerged over social media channels has been how we honor and acknowledge our educators and others in the profession. During many insightful and constructive conversations with Chris Wejr we went back on forth on the merits and challenges inherent in this complex process. Even though Chris and I respectfully disagree on awards in general we had an enlightening conversation over the course of 3 days in public and private on the importance of sharing stories. The consensus is that regardless of the process more stories need to be told. Storytelling is an art, but it does not have to be a painful, arduous, or time consuming task. I think many of us in the connected world have been telling our stories since we signed on to a social media tool. The challenge for all of us is to take it beyond our own professional experiences and begin to share more stories of those educators doing incredible work who deserve to be honored for positively impacting the life of a child. It is through the work of educators that we can see excellence in practice each and every day in our students. In the end we'll emerge as a more reflective and grateful profession as we unlock greatness that is present throughout schools across the globe. 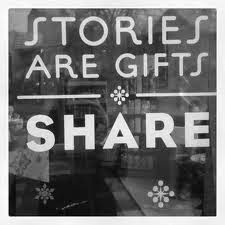 My challenge to all of you is to become the storyteller-in-chief for your school, community, and/or PLN. Share the success of your students, colleagues, and those that you connect with online. Look for those special moments in your buildings that are being done by innovative teachers and administrators that are not connected. 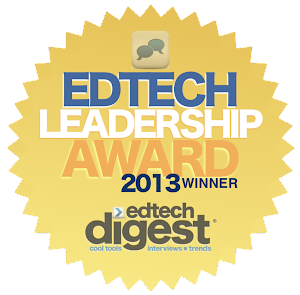 Try experimenting with guest blog posts from educators and students. Encourage colleagues to attend and participate in Edcamps or Twitter chats. When at a mainstream conference go up to someone you don't know and capture their story. I bet that you will make that educators day! I believe awards and honoring educators through the art of storytelling can coexist even if we don't agree. Let's just agree to pursue the better path in the near term that is positive, supportive, and inspiring. Together we are better even in the face of challenges and disagreement. It's time for all of us to do our part through action and in the process it will honor members of our amazing profession. 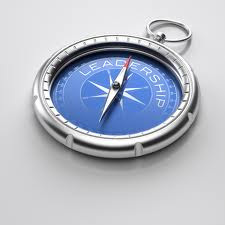 The beginning of the school year always renews my focus on how to improve my leadership skills. Each year I critically analyze ways I can improve as well as what I feel I am doing well. To my mind, we all have the capacity to lead. It is through leadership that we become catalysts for positive change. Once sustainable change takes hold, we will see the fruits of our labor in the form of transformed teaching and learning practices amongst learners and in ourselves. This cannot happen without effective leadership. In my own experiences and those of the individuals with whom I have connected through social media, I have witnessed patterns of behavior that, in my mind, capture effective leadership. Leadership is a combination of art, science, and human nature. For some, it is an innate process; for others, it evolves and is refined over time. We all have the ability to lead, although many choose not to lead. There is also no perfect way to lead, as leadership strategies and practices need to adapt to the various dynamic environments in which leaders find themselves. Schools need individuals to establish a collective vision and put it into action to improve professional practice, whether that leadership comes from administrators or teachers or a combination of both. Schools cannot be successful if this does not happen, and the success of our students depends on how well leaders guide the majority to embrace meaningful change. 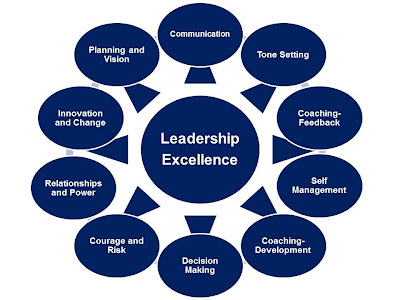 Below are ten essential elements of leadership that I feel can effect change. Modeling: In my opinion, the best leaders model their expectations for their employees and peers. The best leaders not only talk the talk, but they also walk the walk. Don't ask your employees or colleagues do something that you are not prepared to do. Better yet, show them what the practice can and should look like in action. Not looking for buy-in: Effective leaders should not have to “sell” their employees and colleagues on a better way of doing things. Intrinsic motivation is the most powerful force we have to initiate and sustain change. Think about how you can get people to embrace a new idea, strategy, or initiative. If you do this, the chances are you will have real results. Start out by simply removing the words "buy-in" from your vocabulary. Providing support: Support comes in many forms – financial, time, and professional learning opportunities. The lack of any (or all) of these should never be an excuse to not move forward. Support begins with adopting a “no-excuse” attitude and the resilience to always seek out solutions to the many problems that arise. Support should also be differentiated. As we have come to know with our students, a one-size-fits-all approach never works. Learning from failure: Everyone fails. That is life. The key point, however, is that failure is one of the greatest learning tools we have. We don’t like it, but it should be embraced. If leaders are afraid to fail, then nothing will ever change. Leadership is all about risks and rewards. With every risk there is the potential for failure looming around the corner. Learning from our experiences—including our failures—empowers leaders to be fearless change agents. Admitting when we have failed actually inspires others. Transparency: Leaders’ decisions and actions are not challenged as much if those leaders are transparent. Effective leaders use transparency to assist with the embracement of change. This is accomplished through a combination of communication, shared decision-making, consensus, debate, and social media. In the end, all stakeholders should know why and how a leader made a particular decision and how that decision impacts the system. Transparent leaders to not micromanage, give credit to others when initiatives succeed, and take the blame things fail. Flexibility: Stubbornness and rigidity are clear indicators of a top-down approach to leadership. This almost always builds resentment and animosity towards change. Leaders who are flexible listen to other points of view, bend when necessary, and are not afraid to change course if things are not going well. Resilience: Leadership is fraught with challenges on a daily basis. There will always be people second-guessing, undermining, and ignoring decisions that are made. Effective leadership requires something between having empathy and having a thick skin. This results in resilience. Without resilience, one’s ability to lead effectively will be severely diminished. Never passing the buck: If you are—or want to be—a leader, you must always remember that there is no passing the buck. When final decisions have to be made, they must be made with confidence, clarity, and decisiveness. 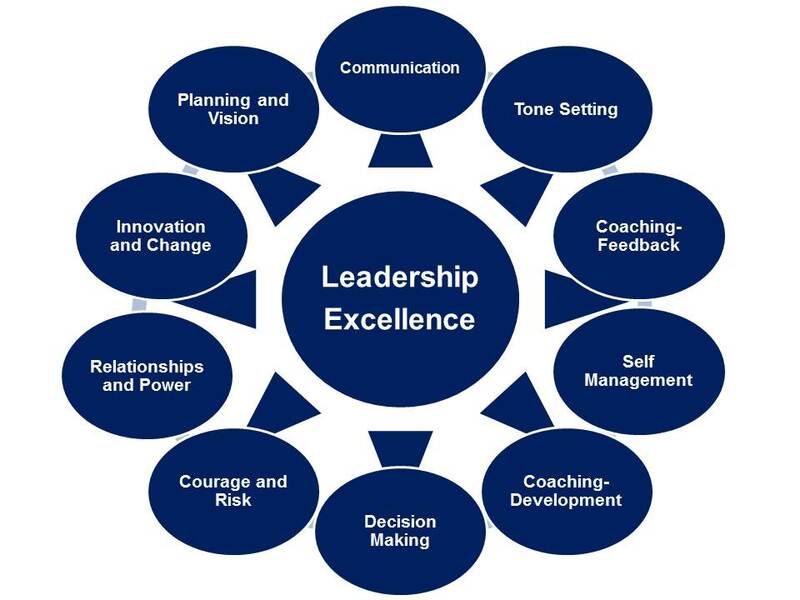 The image below provides a nice summary of many leadership essentials. Obviously the image above and my list are not an exhaustive list, but rather a reflection based on experience and observation. What do you think are the essential principles of effective leadership that might fall outside of the list that I have provided? 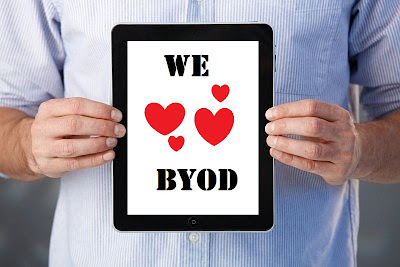 I have written extensively over the past couple of years about our Bring Your Own Device (BYOD) initiative at New Milford High School at the Huffington Post and on my own blog. 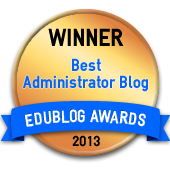 It has been interesting to look back at all my blog posts to see how far we have come with BYOD at NMHS. 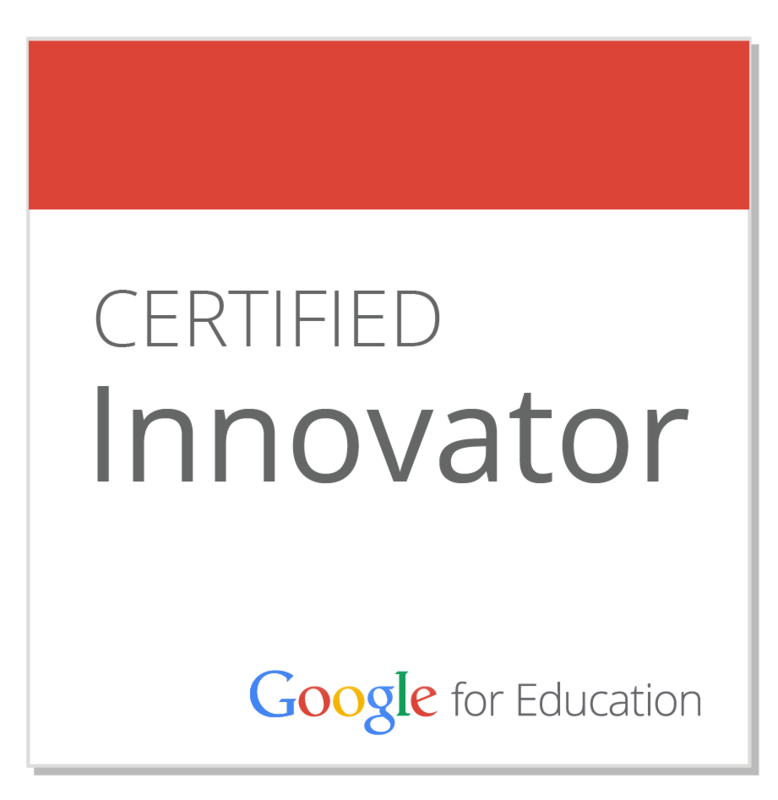 My first ever post on the topic just provided a small glimpse at the possibilities inherent when students are empowered to use the technology that they already posses to enhance their learning experience. It was our desire and quest to create a school culture and learning environments that were more reminiscent of the real world that our learners would soon be a part of that drove change in this area. When I reflect upon how the program has evolved into it's current state I cannot help but to think about the most important change that was made recently. It was during the summer that Ron Watson, the NM District IT Director, and I met to discuss the future of BYOD at NMHS. Up until this point we had students sign off on a paper guideline sheet after which I created a username and password for them to access the secure guest network. This information was then passed on to Ron and each student that filled out the form was granted access. There is no doubt in my mind that this process limited the amount of students who opted to bring their own mobile learning devices to school. I can't thank Ron enough for putting students first! Speaking of Ron, he just informed me that we had 460 unique devices connect to our guest Internet network yesterday (535 for the week) at my school. This is fairly significant as we only have 650 students and 53 staff members. Take a look at the traffic at each access point below. NMHS students and parents/guardians fully acknowledge that use of a personal device on the premises of New Milford High School is subject to all guidelines, rules and regulations governing acceptable use as established by the New Milford Public Schools Board of Education, Policy #2361 and Regulation R2361. It is further understood that use of a personal device is restricted to those activities as required or related to the student's program of study and any use otherwise may be subject to disciplinary action including loss of device use privileges. Students WILL NOT access websites with inappropriate content using a 3G or 4G connection. Students and parents understand/agree that New Milford High School is NOT responsible for any damage or theft that may occur to the laptop while on school property. By logging into the New Milford wireless network, they are accepting the terms of the New Milford Student Responsible Use Guidelines. Once on the New Milford wireless network all users will have filtered Internet access just as they would on a district-owned device. Our BYOD initiative at NMHS has succeeded and grown up to this point based on the basic premise of trust and respect. Yes, we have policies in place, the right infrastructure, and support our teachers with professional development and guidance. However, the most important elements stem from the fact that we trust our students to use their devices as tools for learning, enhanced productivity, and to conduct better research. Time is spent working with them on digital citizenship and the creation of positive digital footprints that they can be proud of. We also respect them as learners growing up in the digital age where these tools are playing a greater role in the world we are preparing them to succeed in. When creating a BYOD initiative grounded in these principles the possibilities are endless. What do you think are the keys to a successful BYOD initiative? The following is a guest post by Erik Endress. 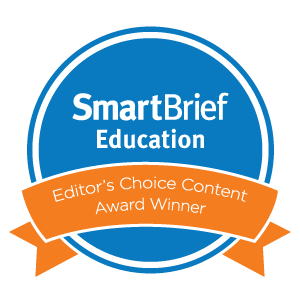 In the days following December 14th, 2012 school administrators, educators, law enforcement personnel and parents have undertaken the most comprehensive look at school safety since the Columbine massacre of 1999. While much of that discussion has focused on preventing a Newtown-style active shooter from making entry to a building, history shows that the majority of active shooters appear from the inside of the school, in the form of a student, staff member or parent who has unfettered access to the building. I do not believe that we can prevent active shooters, intent on doing harm at our schools, from carrying out their plans whether they emerge from the population already inside the building or arrive on school grounds unannounced as happened in Newtown. Anyone with access to the building can carry an arsenal of weapons or explosives into the school and unleash an attack from inside. Where I believe there is room for improvement is the ability to connect administrators, educators, employees and local first responders on the scene of an emergency at a school or on a campus. After all, educators and students are using technology to connect with people around the world; shouldn’t they be able to connect to the teacher in the next classroom or the police officer who may save their life? I think so. Think about what happens in your school today. How are lockdown or evacuation alerts communicated? In most schools, one or two people, usually administrators, are authorized to call a lockdown and they can only do that using the PA system in the main office, which is generally adjacent to the front doors. Speaking at the New Jersey Association of School Administrators School Security Conference in March of 2013, former Newtown Superintendent Janet Robinson said that it was a school bus driver who called her secretary to report a shooting at Sandy Hook Elementary School and she thought the report couldn't be true. "I said, 'it's impossible. It must be a domestic dispute in the area," the superintendent recalled. "I said, 'Call the school and see if it's close, see if we need to do a lockdown." Why isn’t every employee able to call for a lockdown or evacuation if they see something dangerous? Perhaps the gym teacher is on the athletic field with students when he or she sees a suspicious person appear from the woods. Or a teacher in a classroom has a student pull a handgun from their backpack. In both instances, the time that can be saved communicating the alert can save lives – that’s why our system enables any administrator, employee or law enforcement officer to instantly broadcast an alert (lockdown, lockout, evacuate) from their own mobile device or a computer, to everyone involved. That alert is also sent instantly to your local law enforcement officers, who may be passing right by the school at that moment, reducing response time. Once employees receive an alert, they connect with everyone on the scene by checking in to share their actual location inside or outside of the building, their status, headcount, a message and reporting missing or found students, in just seconds, using their own mobile device or a computer. Whether in the corner of their classroom, hidden in the closet or at the evacuation zone, every employee can connect to report their status and receive real-time information updates via text. As employee check-ins are occurring, they are displayed in real-time on the SW911 LiveView dashboard. Responding police and fire personnel can connect instantly to see if anyone is reporting that they are being held hostage, near the threat or are trapped by fire or building debris, all high priority situations. This enables first responders to see where help is needed now, instead of searching the entire building or campus without any information. School administrators can use SW911 to be instantly alerted to emergencies at their schools and can access the LiveView to monitor or manage incidents of any kind, from anywhere. SW911 was used for the first time in New Jersey on January 8, 2013 and today, thousands of school employees and first responders are on the network. Schools can try the system for free for up to two months prior to switching to a paid model, which is just $3 per employee, per month. Erik Endress is the CEO and Co-Founder of OnScene Technologies, Inc. which makes Share With 911. He has been a volunteer First Responder in his hometown of Ramsey, NJ for over 25 years and is a recipient of the New York City Mayoral Award for Heroism & Bravery. His experience as a First Responder, a former school board member and as an education technology specialist, Erik saw an opportunity to leverage the technology being used in schools and in the hands of First Responders to connect everyone involved during an emergency and let them share information with each other.